The traffic in Seattle’s SoDo neighborhood puts a squeeze on business owners trying to keep people from blocking access to their buildings. For as long as Jodi Opitz can remember there have been signs on her building warning drivers they’d be towed if they parked in front of her loading bay at the SODO business she’s owned since 1991. But about 12 years ago, after she had a car towed for blocking access to her business, the city took notice. “One of the city’s arguments is that you can’t use right-of-ways for public use,” said Obitz. She’s talking about Occidental Ave. which runs along the backside of her businesses, Seattle Rehearsal and Sodo Pop. There’s no parking lot, just pavement that runs right up to her building and many others. Railroads tracks that used to serve those buildings run parallel with the street. Now it’s a parking free-for-all on game day. “There’s no sidewalk, there’s no setback. So you could literally, and this has happened. I’ve walked out and there’s a car right here. so you’re crawling over the hood of their car to get out of their building,” she said. After years of back and forth with the city over her signs, she took a stand and decided to leave them up. The city began fining her $500 a day, retroactively. So far the bill is more than half-a-million dollars and climbing. 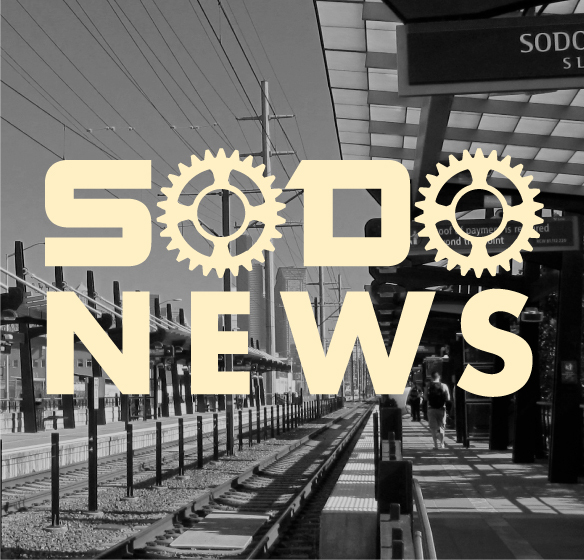 “It’s generally unique to SODO that you have right-of-way touching the building,” said SODO Business Improvement Area Executive Director Erin Goodman. She’s been a spokeswoman for SODO businesses for the past few years and says parking isn’t the only problem. “This is something I hear from numerous businesses from having access to their required fire door for safety reasons, to you know having smoke coming up into their buildings. This is well beyond parking,” said Goodman. She’s optimistic the city, under new leadership will find compromise out of court. But for now, Opitz is staying on track, going about business as usual, hoping the city changes its mind about a proposal to lease the right-of-way to building owners. Some think would be a win-win; turning free parking into a money-maker for the city, while also providing Opitz and others a way to stay in business.